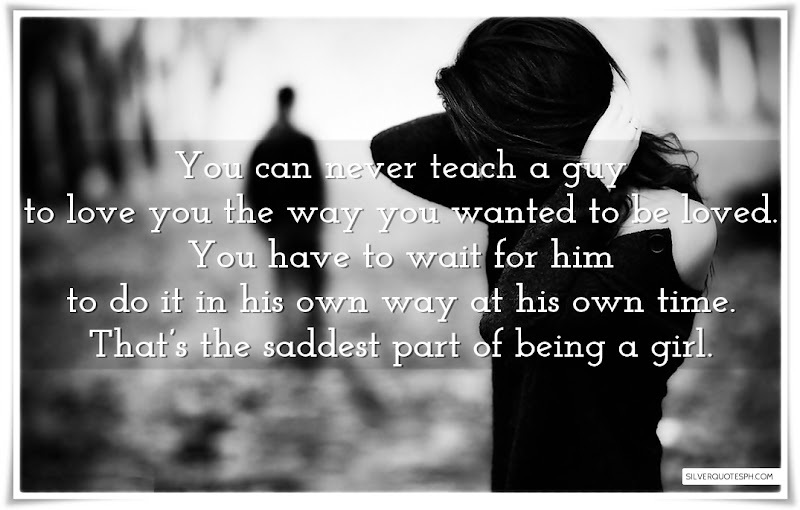 You can never teach a guy to love you the way you wanted to be loved. You have to wait for him to do it in his own way at his own time. That’s the saddest part of being a girl.